New Fashion Men's LED Date Digital Water Resistant Sport Black Wrist Watch. We offer 4 different colors please confirm which color you would like to buy. If you want to get a watch for your daily use, this kind of timepiece will be your best solution. It is the most fashionable and innovative design for this year. It is made with innovative and high technology which provides precise time-keeping compared with the other watches. 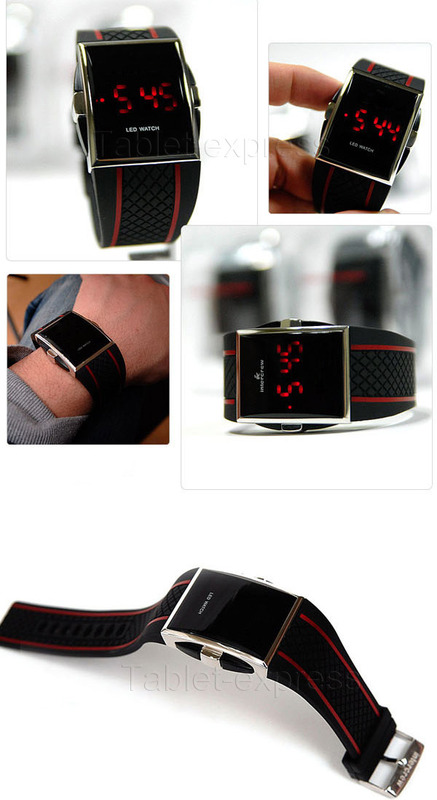 Moreover, it will be a good decoration for your wrist, both practical and elegant. And high quality material makes it easier to use and wear, so it is the best gift for your friends! Please Note: By default, the screen remains off until the side button is pressed. It will turn off again after few seconds. This watch can't be used under bathing or swimming! Press and release top right button to display time.While time is still displayed, press and release lower right button to set time.The hour is now flashing and can be changed using the top right button.Lower right button will switch to minutes, then month, day, and year.